Ed Stephens tries the front wheel drive version of the Freelander, a car that would make most sense to the vast majority of Land Rover drivers. Driving a Land Rover which only has two-wheel-drive is a bit of a contradiction in terms. Especially as the company’s slogan is “The Best 4x4 By Far”. 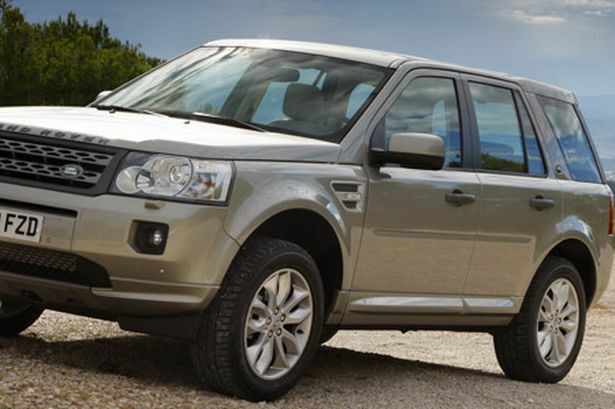 But the front-wheel-drive version of the Freelander is anything but second best to its 4x4 relatives. And yes, even though there is no drive going to the rear wheels this version is still a very capable off-roader. You get the same ground clearance and suspension so you still have a vehicle which is sturdy enough to tackle the sort of terrain that most two-wheel-drive cars would never even contemplate. In fact, if it wasn’t good off-road it wouldn’t carry the coveted Land Rover badge. I say that because so many people who buy 4x4s never take them off road anyway, desiring them mainly because of their style, strength, high driving position and brand one-upmanship. And if those are their main criteria, buying the two-wheel-drive version will save them money both on the initial outlay for the vehicle and on running costs. Badged 2eD4 this two-wheel-drive Freelander is the most economical Land Rover ever produced, with an average fuel consumption of more than 47 miles per gallon. I didn’t quite manage that over the 300 miles or so that I covered in a week but I was pretty close, with an average of 41.5 mpg. From behind the wheel the two versions feel very similar, although the two-wheel-drive model feels sharper and this is reflected in its faster 0-62 mph acceleration time, probably resulting from the difference in weight of 75 kilograms between the two. And it’s surprisingly quick overall, particularly in its mid range acceleration, and is impressively flexible when it comes to high speed motorway work. In fact, the Freelander almost feels as if it’s built for the motorway. You sit high up with excellent visibility over the surrounding traffic in large chunky seats and this 2.2-litre diesel delivers all the power you need instantly. It is also impressively stable on the road with no roll whatsoever, almost feeling more sportscar than off-roader. And this is a car which is now remarkably refined, quiet and car-like to drive. It’s hardly surprising that the company can sell all the Freelanders it can make. My HSE spec test car came fully loaded and it would be difficult to think of any optional extras that I would have added. Features included full leather, twin glass sunroofs, satellite navigation and electrically adjustable seats with memory. And that was just the tip of the iceberg. So if you do go off road in this model, and it would almost feel criminal to do so, at least you can do it in comfort and silence. Mechanical: Maximum 150bhp, 2.2-litre 4cyl diesel engine driving the front wheels via six speed manual gearbox.